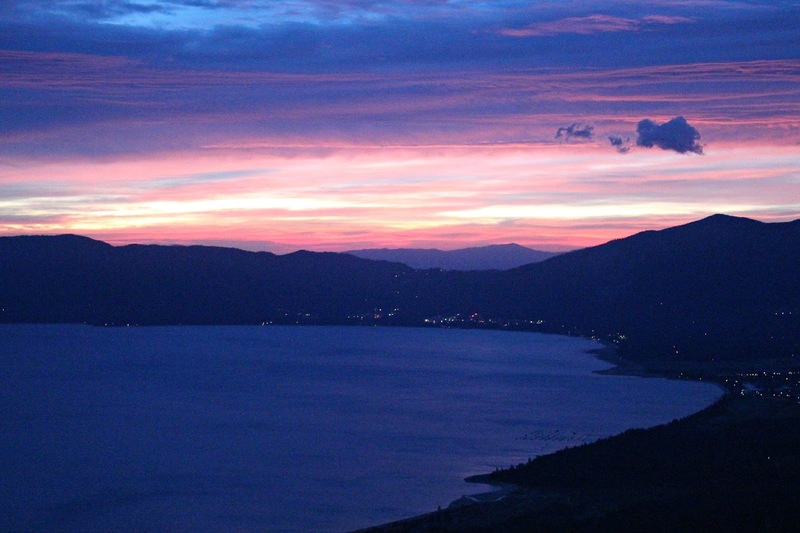 How early would you wake up to go hiking? Saturday morning my alarm went of at 3:30 a.m. I hit snooze and thought about how warm my bed was. It went off again 10 minutes later and this time I actually I rolled out of bed. So why was I getting up so early on a Saturday? To chase the sunrise with 50 + of my closest friends. 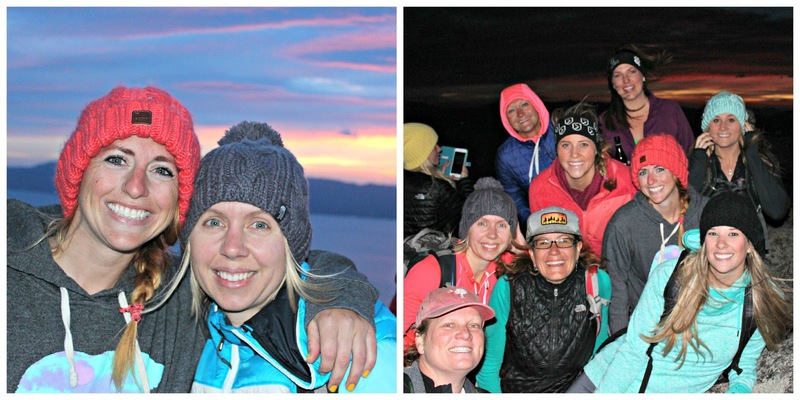 The plan was to meet #ChasingSunrise at the trailhead around 4:15 a.m. and start hiking Maggies Peak shortly after. I first heard about the sunrise hike from a friend via social media and thought that sounds like fun I want to do that. I'm so glad I did. Seriously, check out this view! The hike itself is extremely short at about 1.5 miles, but it's not easy. It's straight up the whole way. You better believe I was huffing and puffing. The reward was well worth it. Once at the top we enjoyed good company, great views and tunes provided by Ultimate Ears. The whole crew. 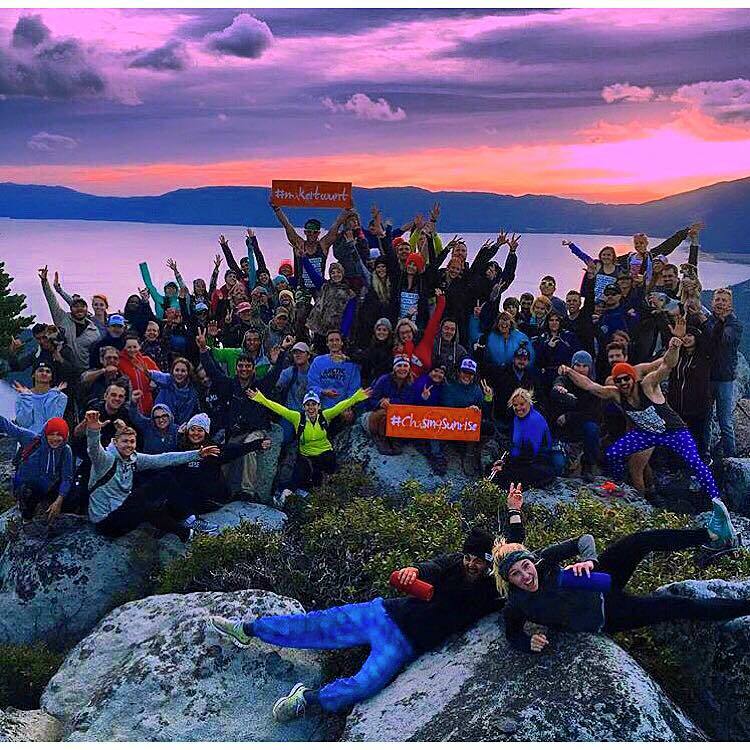 Hikers came from all over to join the #ChasingSunrise crew -- who drove 1,000 miles from Canada! Again the views were awesome! I would definitely hike Maggies Peak again even if it wasn't at sunrise. This view is worth it! When was the last time you watched the sunrise? Bulu Box Review + Discount Code!